DesignScene – Sig Nordal, Jr.
Supermodel Barbara Palvin teams up with fashion photographer Regan Cameron for Earth, Wind And Fire story coming from the pages of Harper’s Bazaar UK‘s March 2015 issue. In charge of styling was Miranda Almond with hair by Chi Wong, makeup by Polly Osmond and manicure by Sabrina Gayle. The post Barbara Palvin for Harper’s Bazaar UK by Regan Cameron appeared first on Design Scene – Fashion, Photography, Style & Design. 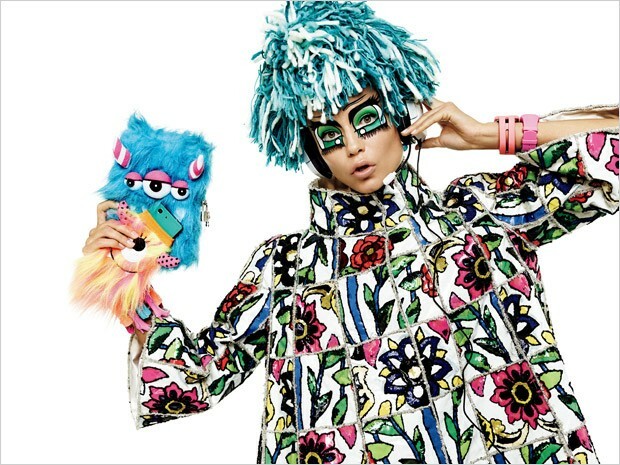 Supermodel Natasha Poly stars in A Manga Tribute To Inez & Vinoodh story shot for Vogue Japan‘s March 2015 issue by fashion photographer Giampaolo Sgura with styling from Anna Dello Russo. Makeup is courtesy of Jessica Nedza with hair styling from Andrew Guida and manicure by Annarel Innocente. The post Natasha Poly for Vogue Japan by Giampaolo Sgura appeared first on Design Scene – Fashion, Photography, Style & Design. The post A Man’s Guide To Stylish Workout Clothes appeared first on Design Scene – Fashion, Photography, Style & Design. Vs. Magazine enlists supermodels turned actress Abbey Lee Kershaw and Rosie Huntington-Whiteley and actresses Freida Pinto, Dakota Fanning and Zoe Kravitz to star on their Spring Summer 2015 covers. The post Abbey Lee, Rosie, Freida, Dakota and Zoe for Vs Magazine appeared first on Design Scene – Fashion, Photography, Style & Design. 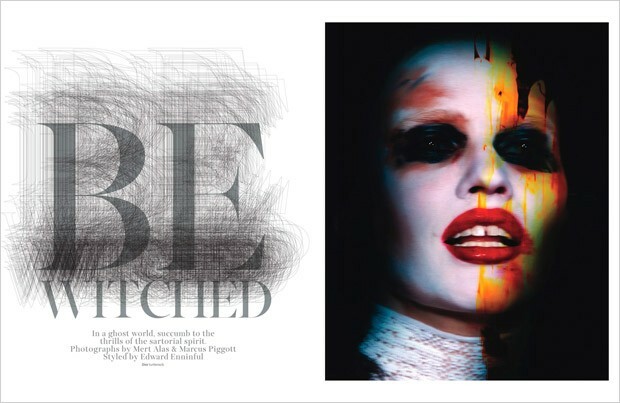 W Magazine enlists fashion photography duo Mert & Marcus to capture Bewitched story for their March 2015 edition starring supermodels Lara Stone, Guinevere Van Seenus, Anja Rubik, Jamie Bochert, and Anna Ewers, with up and comers Molly Bair, Stella Lucia, Frederick Godward and child model Eva-Sophia Marie. In charge of styling was Edward Enninful with makeup by Lucia Pieroni at Streeters and hair styling by Sam McKnight. Set design is work of David White at Streeters. The post Bewitched by Mert & Marcus for W Magazine appeared first on Design Scene – Fashion, Photography, Style & Design. Actor, musician and internet sensation Troye Sivan lands on the cover of Manuscript‘s latest edition captured by photographer Liz Ham. 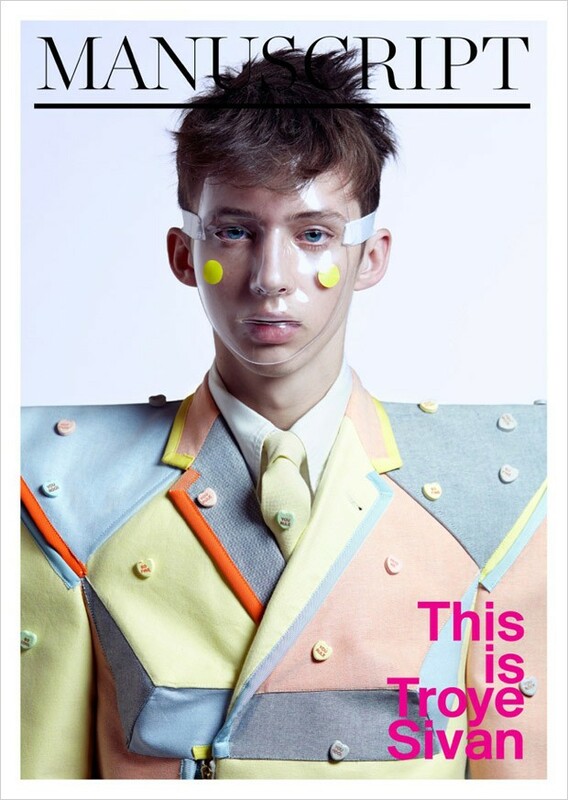 For the cover Troye was styled by Jolyon Mason in Thom Browne‘s suit from the spring 2015 collection. The post Troye Sivan in Thom Browne for Manuscript appeared first on Design Scene – Fashion, Photography, Style & Design. Kit Neale is one of the latest collections added to Wrong Weather, with its eye-catching prints and cheerful summer colours the designs took the spotlight at recent LCM shows. 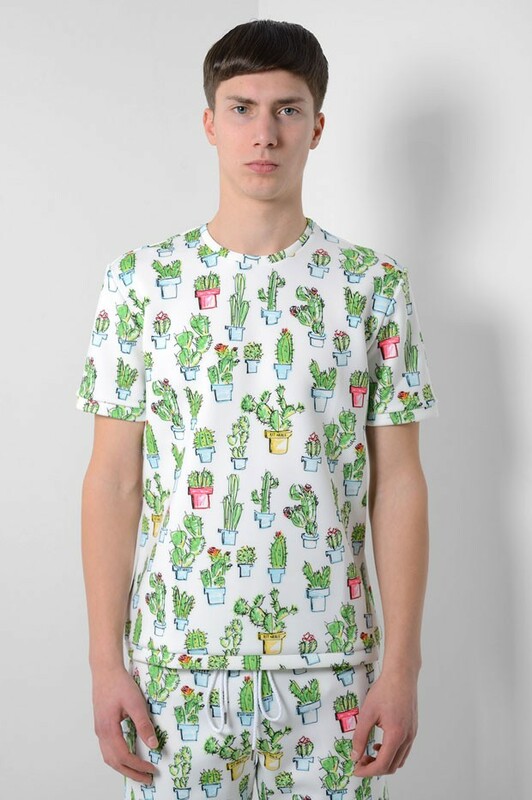 Kit Neal for the upcoming season’s collection mixes eye-catching original cartoons with iconic pop-art moments. Our friends over at the Wrong Weather also selected Kit Neal X Coca-Cola pieces, choosing the stand out sweatshirt and a few t-shirts from the same collaboration. Kit is truly the new master of prints, before venturing into eponymous line the designer worked at Gareth Pugh, Duckie Brown as well as the print department of The National Thaeatre in London. I think men have always been the more playful dresser. It is usually a man who wears a novelty tie or jumper at Christmas, right? Or wear patterned socks. Men have largely been reserved apart from that, I agree. Perhaps it is because men’s dress has largely been career-driven, but I think indignity-driven style is becoming more and more predominant in men. Although there have always been subcultures that progress style, largely male driven. 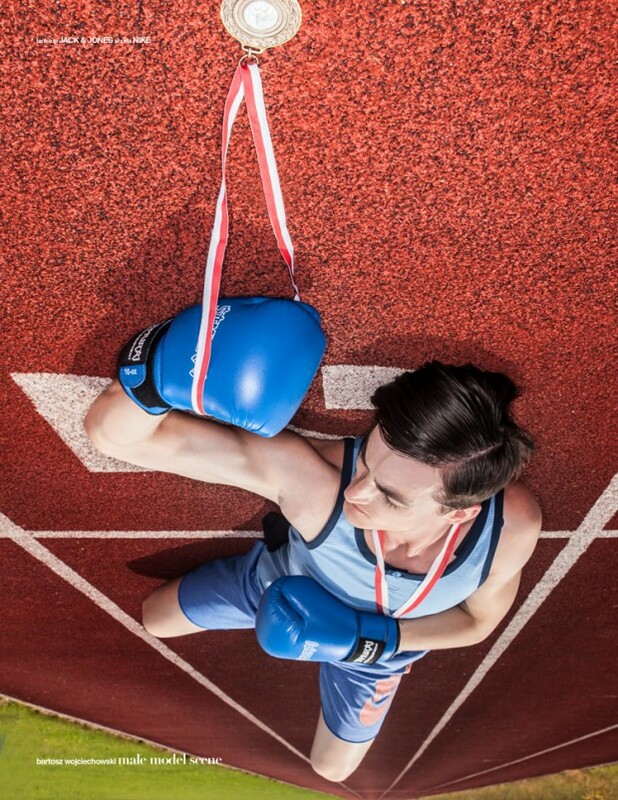 Mmm… There’s endless debating to be had on this subject. The collection is now available at Wrong Weather store in Porto, and also available for online orders with international shipping. The post Kit Neale Spring Summer 2015 at Wrong Weather appeared first on Design Scene – Fashion, Photography, Style & Design. D’SCENE’S Fashion Editor CHRISTOPHER MAUL speaks with leading male model HARVEY NEWTON-HAYDON and our cover star about the perks of modelling, shooting with Peter Lindbergh and being ‘fabulous’. “You’re not in LA anymore,” we laugh. Conditions are Arctic. It’s early morning in the height of winter and the winds are relentless – layering is a must. 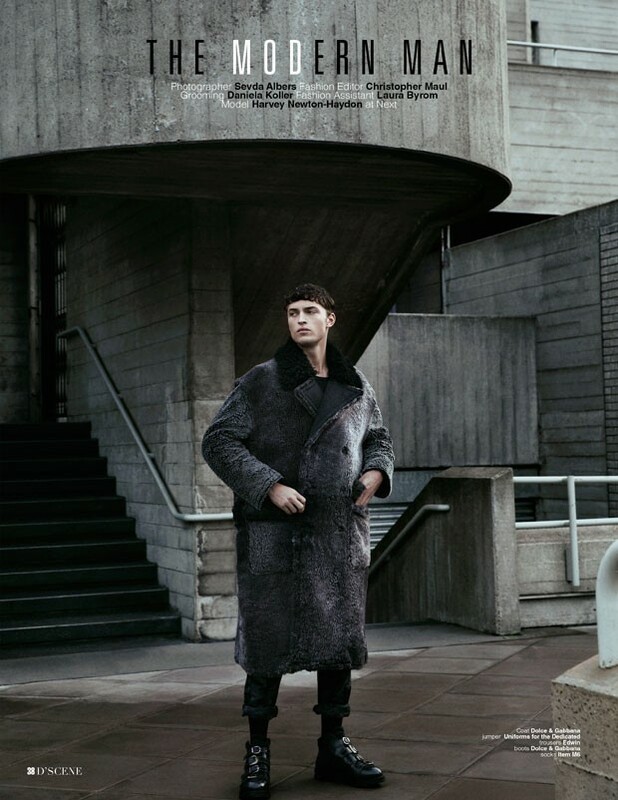 Teeth a-chattering, hot male model Harvey Newton-Haydon is wearing only briefs and boots on the roof of the Royal National Theatre in London. The post D’SCENE INTERVIEW WITH COVER STAR HARVEY NEWTON-HAYDON appeared first on Design Scene – Fashion, Photography, Style & Design. Supermodel Miranda Kerr takes the cover story of Harper’s Bazaar Australia‘s March 2015 edition shot by fashion photographer Kai Z Feng with styling from Naomi Smith. The post Miranda Kerr for Bazaar Australia by Kai Z Feng appeared first on Design Scene – Fashion, Photography, Style & Design. Top model Hana Jirickova teams up with fashion photographer Koray Birand for Beymen‘s Spring Summer 2015 advertising campaign. In charge of styling was Mahizer Aytas with makeup by Fara Homidi at Frankreps and hair styling by David Von Cannon. Production by Productionising. The post Hana Jirickova for Beymen Spring Summer 2015 appeared first on Design Scene – Fashion, Photography, Style & Design.